A couple of my friends used Enchanted to make pretty things for their sewing spaces. Shouldn't your work space be as adorable as all the wonderful things you are making? 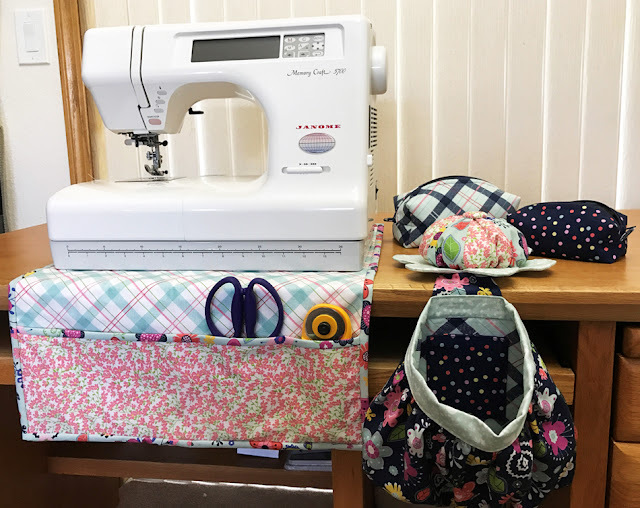 The Pin Cushion and thread catcher combination is called The Abbey Bag, by Abbey Lane Quilts, you can find the pattern lots of places, one of which is Here. 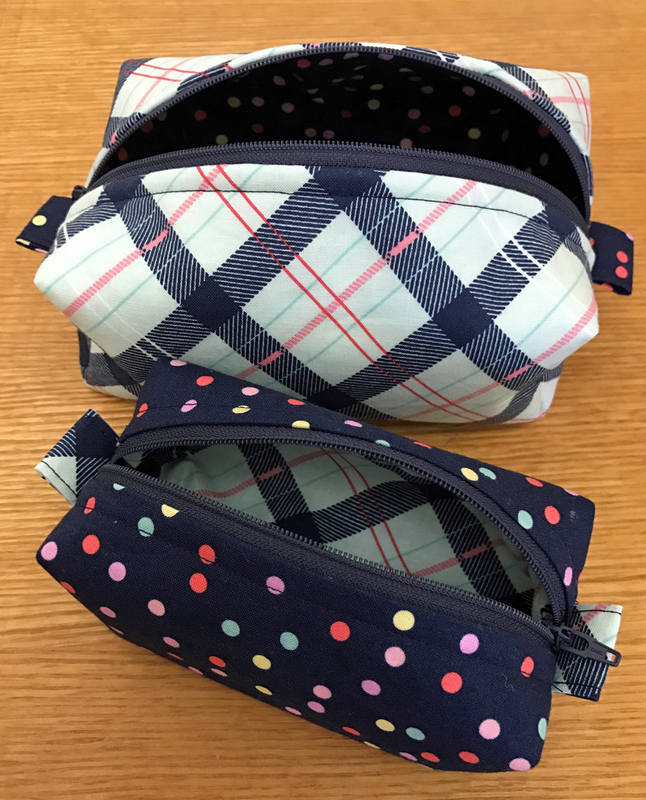 More about those cute pouches below. These cute pouches are made from the Bodobo Bag Pattern, by Ticklegrass Designs. The pattern offers three sizes all in the same pattern! They are so cute and the pattern is super easy to follow. Don't you just need one of these in that adorable plaid from Enchanted? 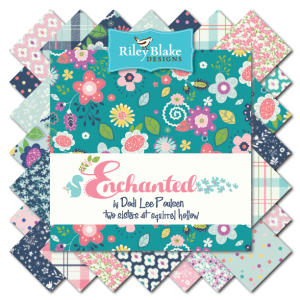 You can find Enchanted fabric Here, or go and check out your favorite quilt shop! Great fabric and such good ideas! Amanda's Preppy Plaid projects (say that three times fast!) are super cute. Wonderful fabric collection. I'm usually not so fond of plaid, but I really like the plaids in this collection! I love this fabric, and your projects really highlight how cute it is. Love the plaid...pink and blue together are a favorite combination. Also love the pooches. I am really liking the plaid. I have been wanting to make one of those mats for my sewing machine. Those pouches are so cute. Love the fabrics. The plaid either in teal or pink, is becoming my favourite!!! Would love to make all the sewing items above!! apart from being pretty, they are also very helpful during sewing time!!! Thanks for the ideas!!! Love your coordinated and organized sewing space! Adorable. I do need to make some pouches. Love the sewing machine mat. I need to make one! So lovely! the dotty fabric in the threadcatcher is just so sweet! Beautiful fabric and love those pouches! BEAUTIFUL COLLECTION! THANKS FOR SHARING! Great ideas for using these pretty prints! Love the fabric and cute ideas! Love these fabrics. So inspiring! I have some antique purse handles that would look beautiful with this fabric added to them! Sweet projects! You have given me some ideas for gifts!!! Thanks!! Oh! And I love this fabric collection too!! The variety of fabric designs in this collection is what attracts me to it...they are so well coordinated, yet so different! Love these projects and the fabric collection. The plaid fabric in blue is a must have!! I'm loving everything being made with this fabric. I really like tartan (or plaid) and polka dots. Vert nice pouches. I made one of these - so handy!! LOVELY COLLECTION! THANK FOR SHARING! Love the pattern and the fabric! thank you! I really like the plaid fabric..and the projects you have made too.. The dress on Tie Dye Diva is sew cute!! I am joining late but love all the projects showcased from this fabric so far. Love that pink plaid on the quilt from Jedi Craft Girl! Really enjoying this tour>such neat designs! THANK YOU for sharing! I would love to win this bundle! This blog tour is such fun! Thanks for the chance to win such a beautiful fabric! Love the fabrics. Maybe someday I will win. I just found this blog hop and this fabulous fabric through the aurifil blog. I am so glad that I did. Love the textures in this beautiful fabric line. Really like the collection and the projects you showcase here! I need to make some of those pouches! I love all the projects. Such cute projects, using these beautiful fabrics! I really love the thread catcher! I think I will have to make the sewing machine mat and the thread catcher! Thanks! I like the plaid and polka dots together. I visited Julie's blog an her baby blanket is so sweet with these fabrics. Thanks for the giveaway too. I am inspired to make some dresses for my little granddaughter from this line of fabric. Lovely. I really like the new look of the plaids! I think of plaids as somewhat out of fashion, but these are not! Very cute bags. I need to make a proper machine cover, would be awesome in Plaid. 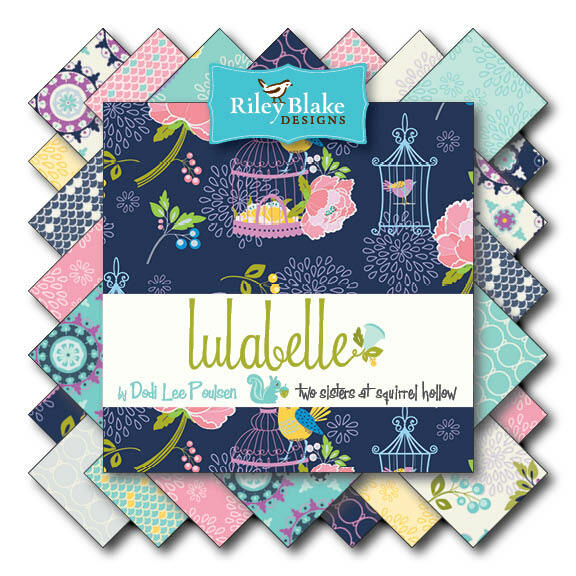 hmm, I just found the blog hop today so I best get busy leaving a mesage...I do love Julie's baby quilt..I have been wanting to make a Dresdan Plate quilt for quite sometime..I best get started.. Thank you for the great ideas using the fabric. I love the plaid. Those pouches are great! I need to add those to my list of things to make. Very fun projects! I really need to make myself a new pincushion. I have made several, but I have given them away. That one looks perfect! A friend of mine makes me pouches....so useful for lots of things. It just depends on where you are in your sewing experience as to what type of sewing machine you should be using. If you are just beginning, you probably don't need a real fancy one until you are sure that you really enjoy this as a hobby, so I would definitely recommend cheap sewing machines.